Yes, it's sad to see a broken-hearted Sheldon, but we couldn't be more proud of Amy Farrah Fowler for finally saying enough is enough. She let Sheldon get away with treating her badly for too long. 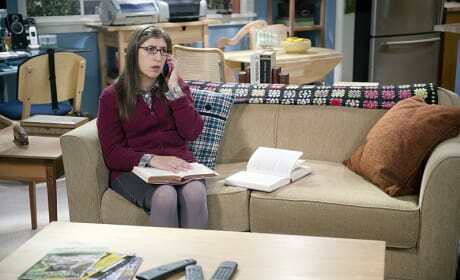 And apparently, we'll get to learn a lot more about her character in The Big Bang Theory Season 9. So that's a win! Okay, so Sheldon has had his heart broken. Amy told him they needed a break, then we learned he had a ring put away for her with plans to propose. But this is Sheldon, so we know he'll have a unique way of coping. The gang looks perplexed at the television screen, and that could mean just about anything. One thing that's for certain? They're all taking in a lot of surprising news in this premiere. They made it to Vegas, and apparently did tie the knot, but will we actually get to see Penny and Leonard's wedding? It seems like with the build up, we'd get a little more. Remember the perfect rooftop wedding that Howard and Bernadette had? 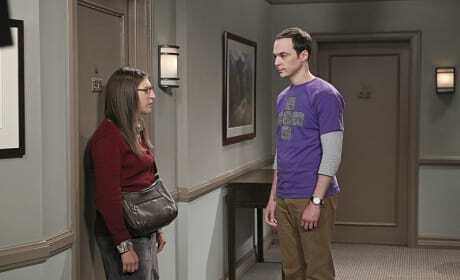 It looks like Leonard is a married man just as Sheldon finds himself newly single. 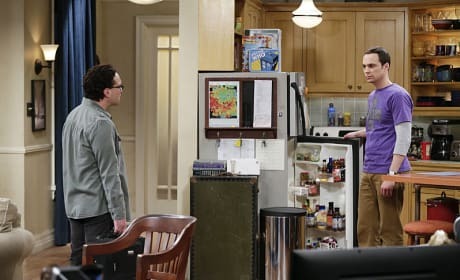 The most important relationship on The Big Bang Theory is the friendship between Leonard and Sheldon, so seeing how they support each other (in their own unique ways) is bound to be one of the best parts of the premiere. I wonder what additions will be added to the roommate agreement?! With Sheldon and Amy on opposite ends, the gang has a serious group chat. 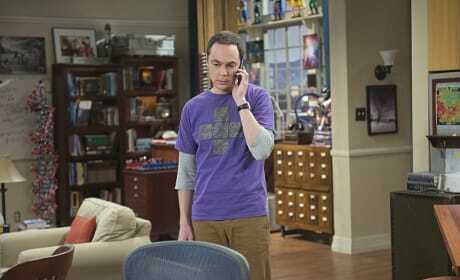 How will the dynamics change now that Amy has pressed the pause button on her relationship with Sheldon? We ended last season of The Big Bang Theory with Amy finally calling it quits, telling Sheldon they needed to take a break. 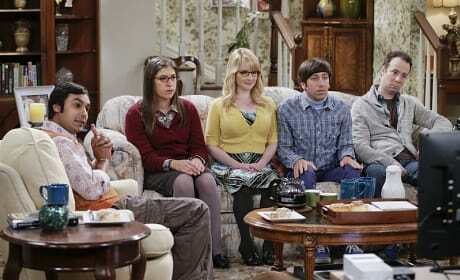 It was after that when we saw Sheldon pull out a ring, and we cried all the ugly tears. What's next for these two now? Will Sheldon be able to get it together and be the kind of partner that Amy needs, or will the break be a permanent one? Well, it seems as though they tied the knot! We really weren't sure if it would happen, but apparently Leonard and Penny do get married in Vegas. Still, they have a lot to discuss, and it isn't going to end here. How will Leonard's confession affect their relationship?